I had a lightning moment a few weeks ago while watching HGTV. Whatever show it was had a quick scene where it panned across a revamped room, and Bam! 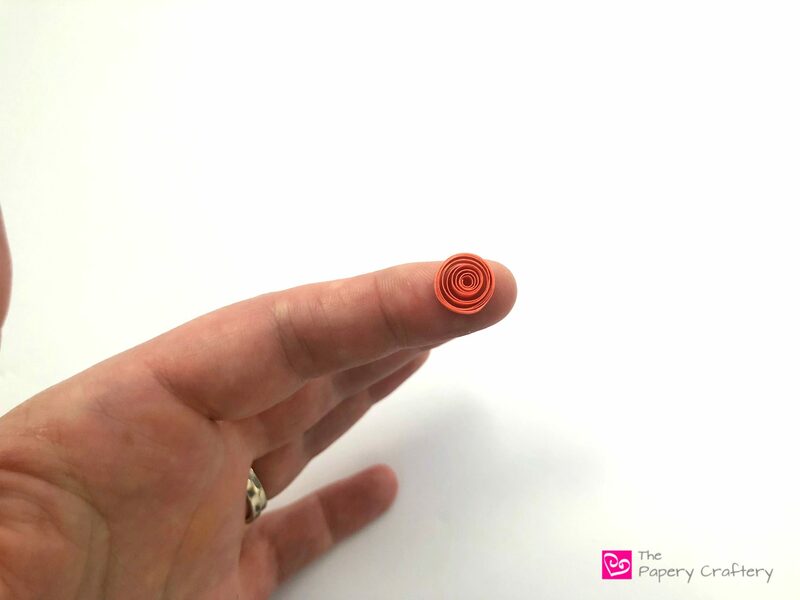 For a split second, I caught a glimpse of an abstracted leaf print and I immediately had an idea of something similar I could make out of quilling paper. I’ve been trying to figure out some sort of artwork for our powder room since we moved into our home two years ago, and I knew this idea would be perfect. So, this week, I’m sharing the leaf design I’m going to make, and I’m going to include some tips for gluing quilling to a background! This two-toned leaf design is pretty simple to put together. It doesn’t have loads of frills and swirls, but, often, a basic shape repeated over and over can make a dynamic impact. To start, make the stem of the leaves. Make a single strip stronger and thicker by folding it in half and gluing the entire length, then folding in half again. Glue these halves together as well. If you’re making the exact pattern that I’m demoing here, you’ll need to repeat this step for about 3 strips. I wanted the leaves to be colorful, but modern, so I chose 5 colors. I used Lake City Craft’s Light Blue and Tan, Paplin’s Celery, and Quilled Creations’ Pale Yellow and Blush. First, roll an 8″ strip into a coil. Then, make a second point on the other side, but keep it off-center. Make a whole bunch of these using a mix of whatever colors you’ve chosen. I needed a total of 30. The brown stems should be dry by this point. Snip them into pieces about an inch and a half long. Attach one colorful leaf shape to the end of a brown stem. Add a second leaf half of a different color to the other side. 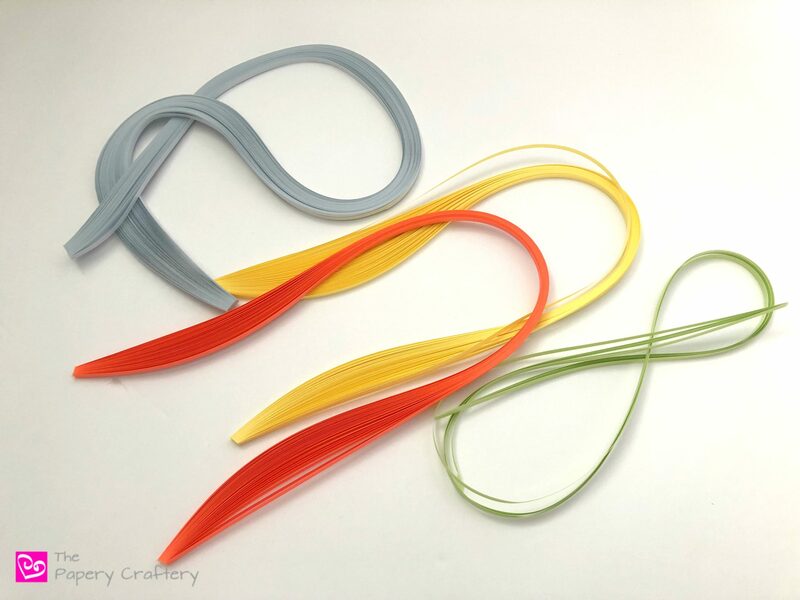 Use all your quilled leaf pieces, mixing the colors as you go. 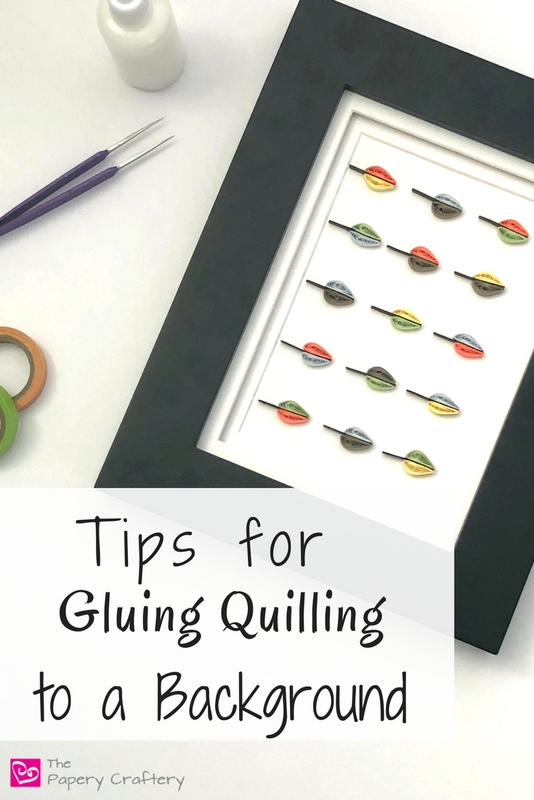 Now let’s talk about mounting quilling for framing! 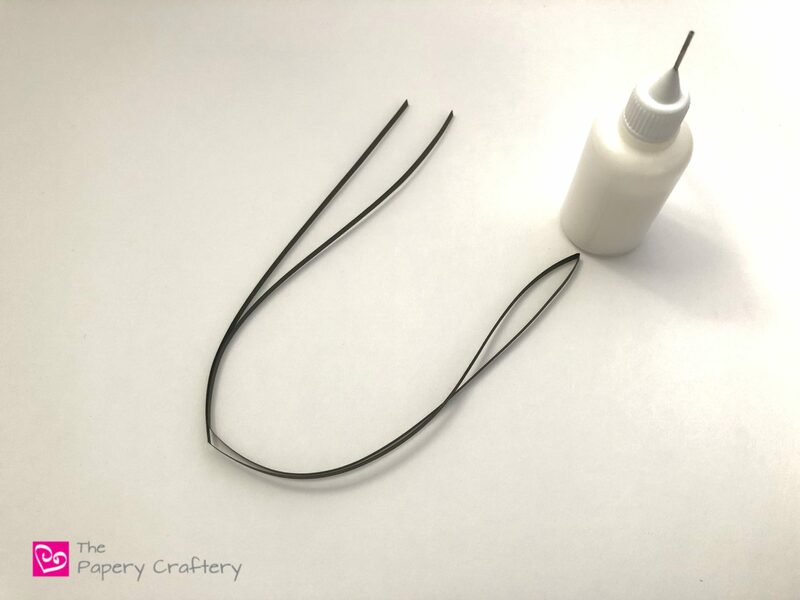 I have a few tips for gluing quilling to a background. First, choose the size of your backing sheet. 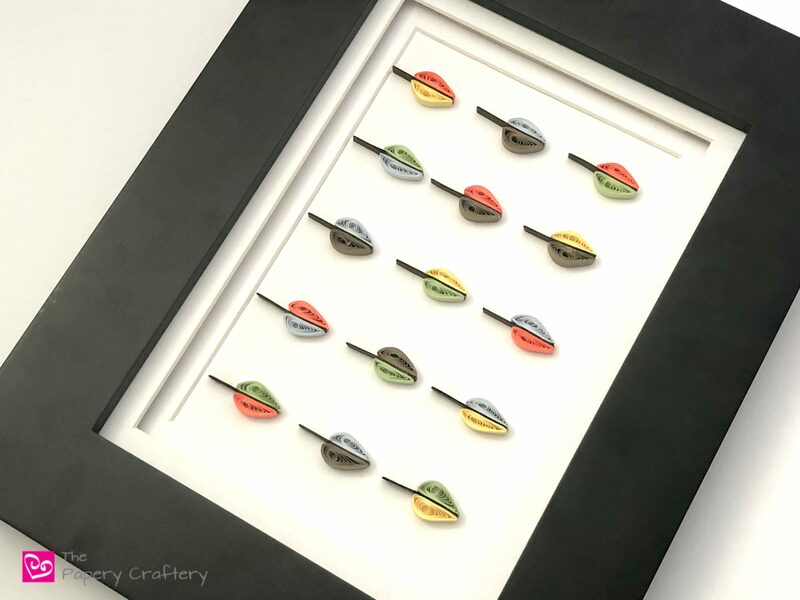 To make my life very easy, the majority of the quilling that I sell for home decor is mounted to the same exact size, 5″ x 7″. 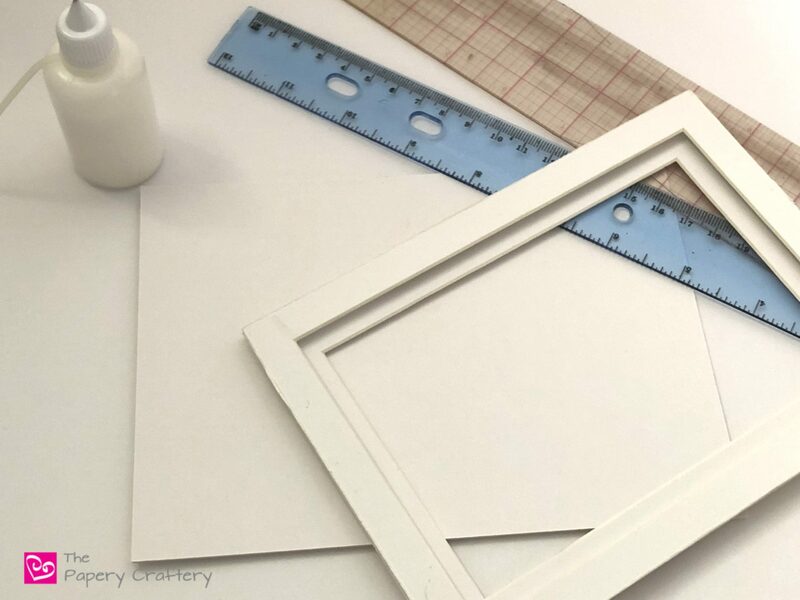 I purchase bulk orders of mat board that fits my favorite frames. I prefer mat board because it is very sturdy and doesn’t wrinkle under the glue. If you’re looking for a more colorful background, think about covering mat board with colored or patterned paper. 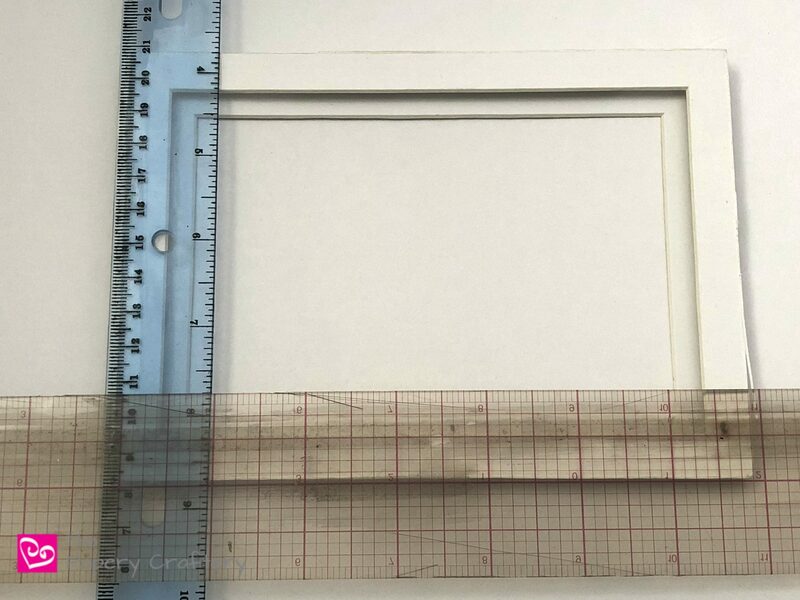 My favorite frames also include a double-mat. 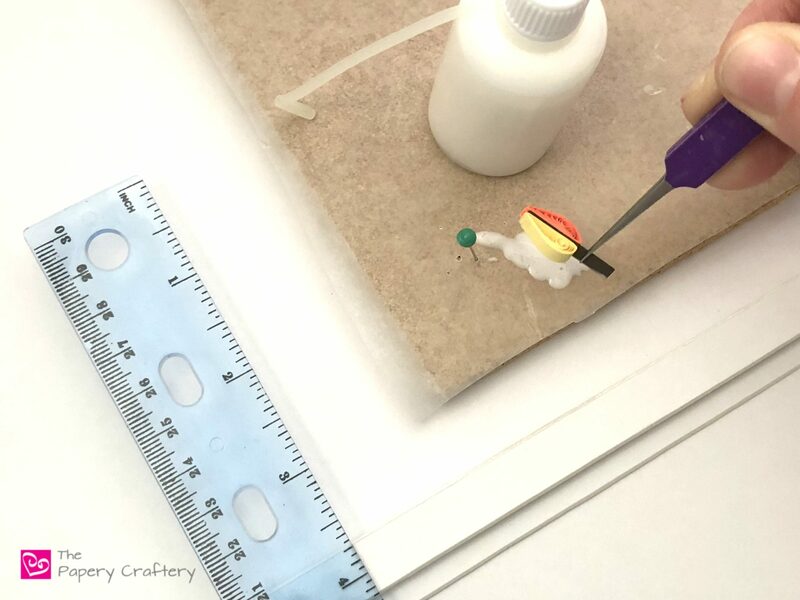 The double mat allows for loads of space between the 1/8″ quilling paper that I use and the glass in the frame. I like to remove this and line it up on my mat board. This ensures that the quilling I’m mounting fits comfortably inside the space allowed inside the frame once it’s all put back together. 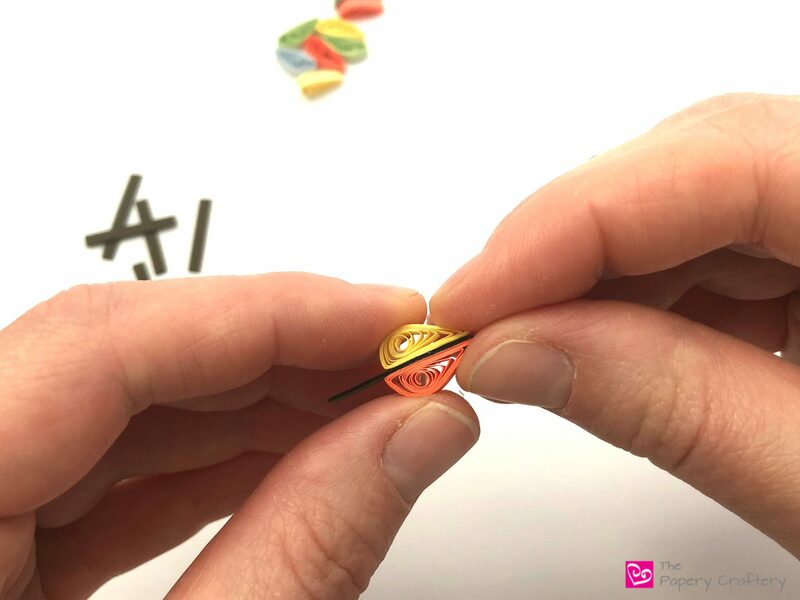 Another tip is to lay a couple rulers over the top wherever you want your quilling to end up so it stays straight. For larger quillings, I like to apply glue directly to the back with a needle-nose glue bottle. 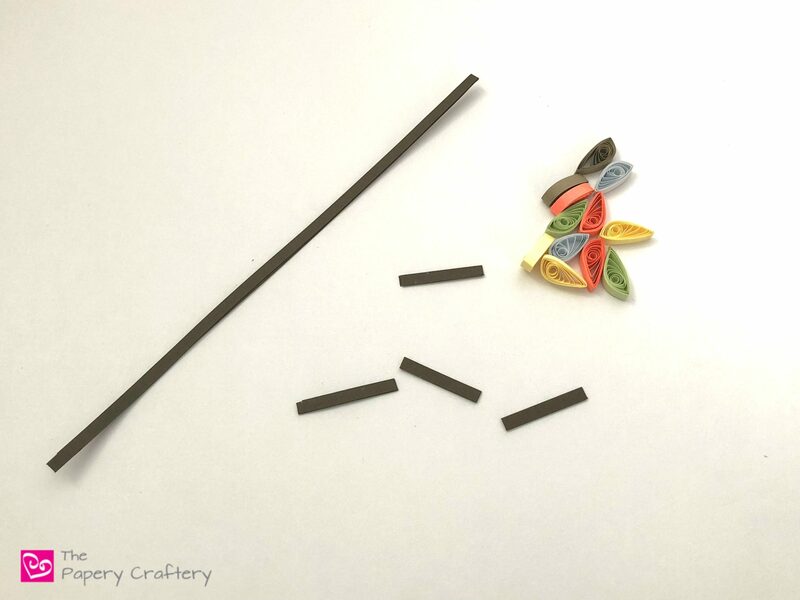 If the quilling is small, like these leaves, you could try dipping your quilling right in a little glue using tweezers. Either way, you need very little glue. 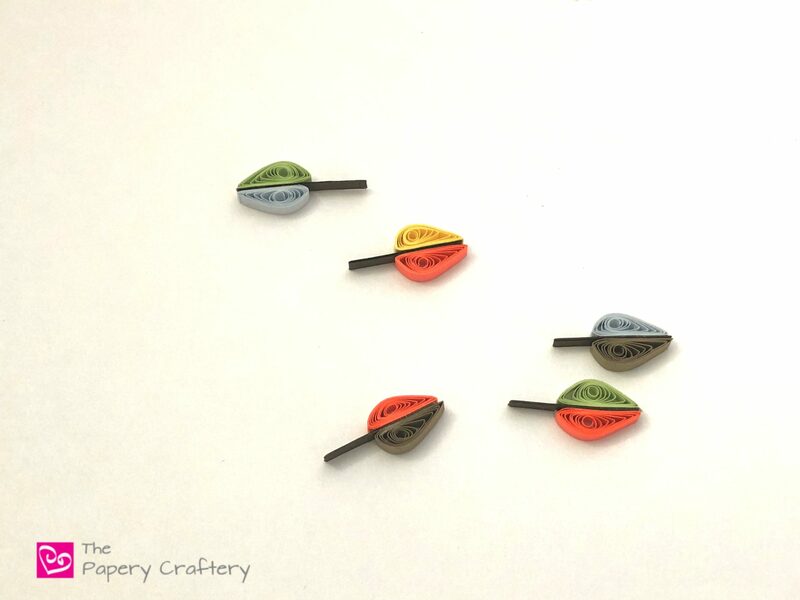 Line your quilling up using the rulers, taking care not to bump them. 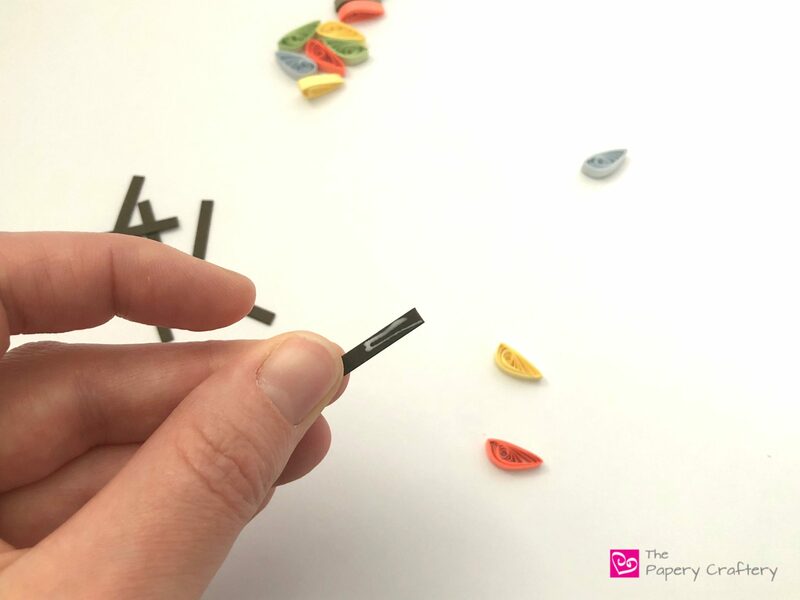 The ruler trick works where ever you want to place your quilling. 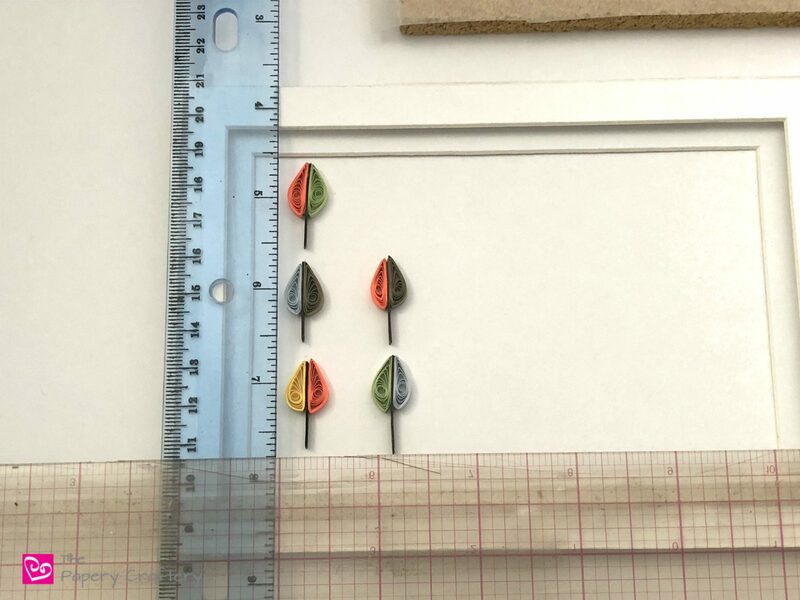 I use rulers to make sure large quillings are centered on my mat board, too. TIP: It’s also a good idea to keep a small paintbrush handy. 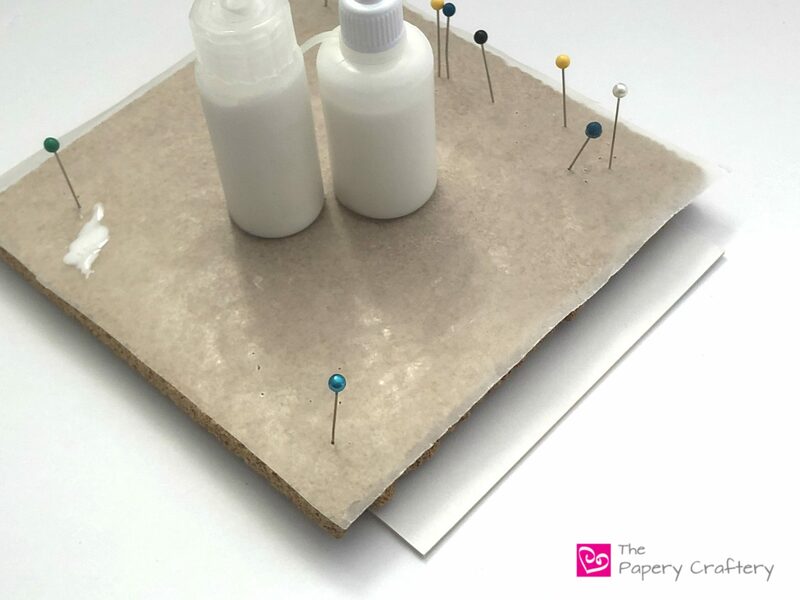 You’ll need it to wipe away any glue that seeps out from under your quilling paper once it’s on the mat board. 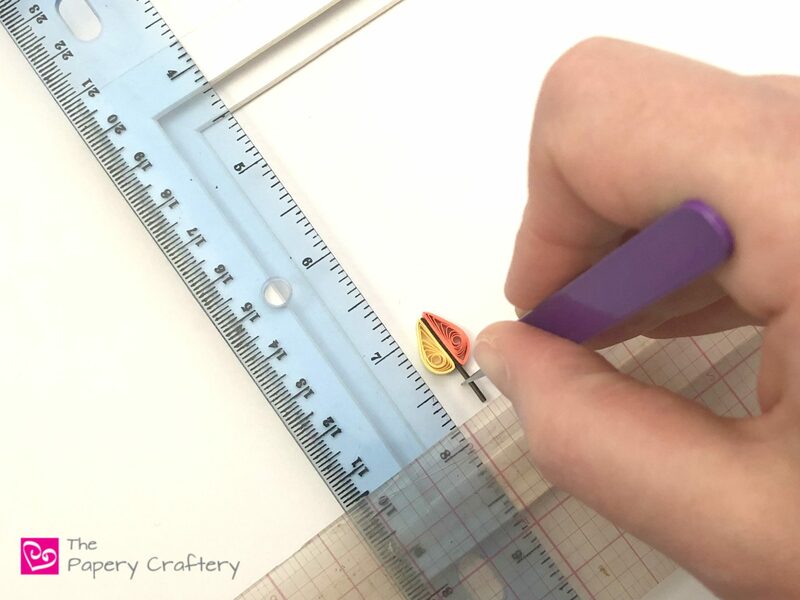 Keep adding your leaf quillings in the same way, lining them up with the rulers as you go. I tried to stagger the colors as I went, but I think it’s perfectly imperfect. I also like to put a bit of weight on my quilling as it dries. You can use a light book or another piece of mat board. I like to use one of my corkboards with a glue bottle or two on top. 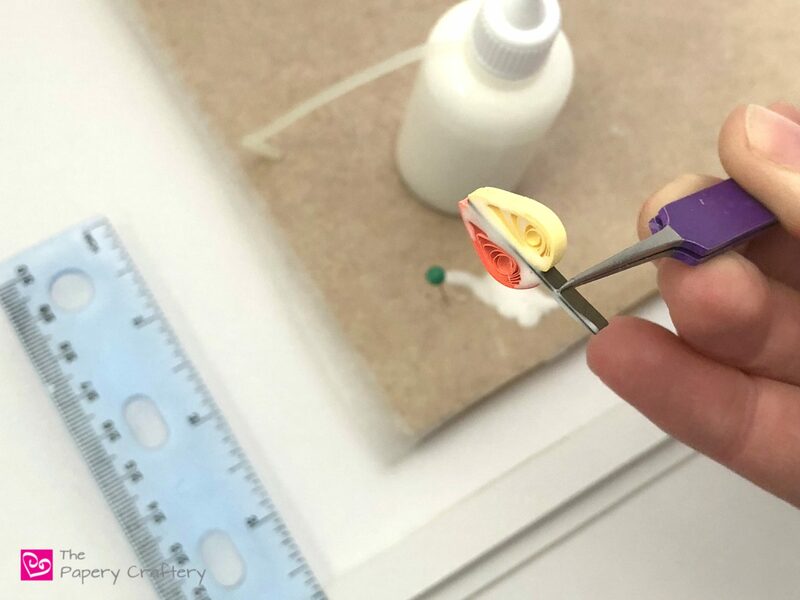 This helps your quilling dry flat. Just let this sit for a little while to ensure all the glue is set, and you’re ready to frame. I can’t recommend these frames from Michaels enough. 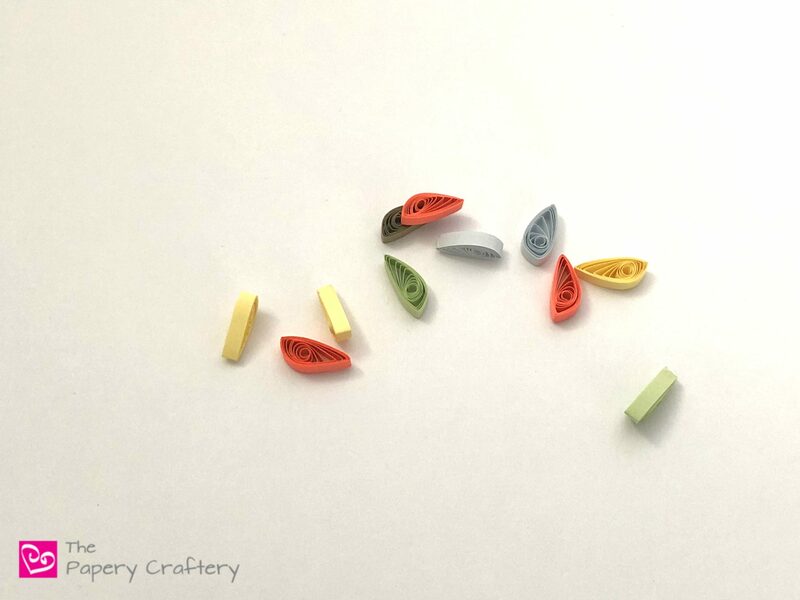 They are perfect for quilling! 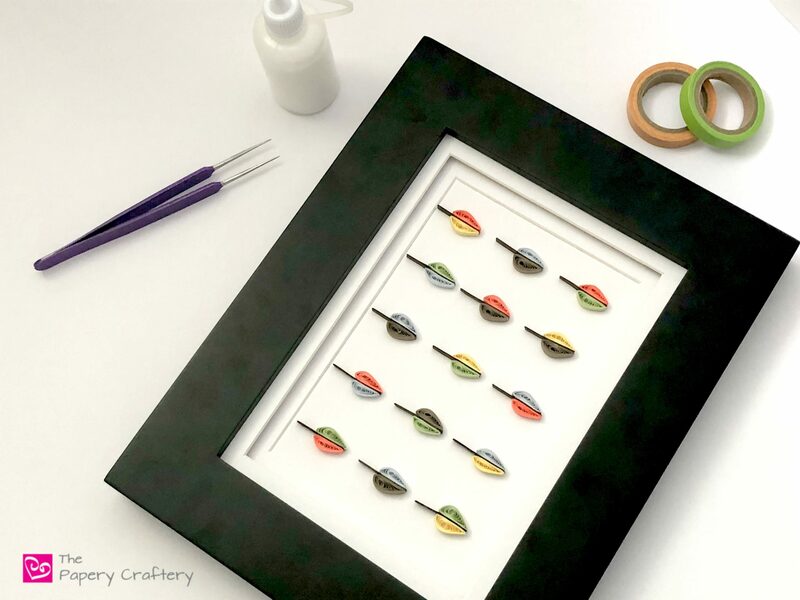 Whether you choose to be inspired by these two-toned leaves, or you recreate this project from start to finish, these tips for gluing quilling to a background will really come in handy! The same ideas can be helpful when making cards, envelopes or gift tags. 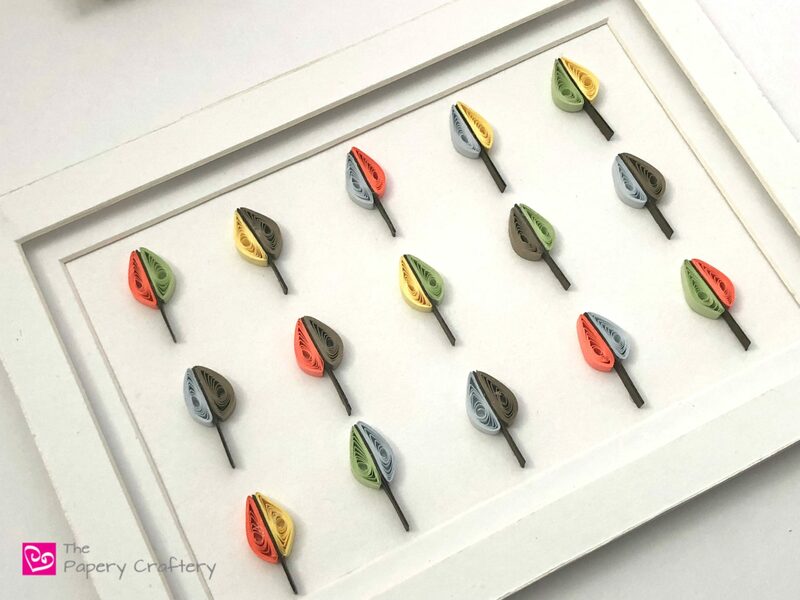 Do you have any tricks for mounting your quilling? Another great tutorial – thanks so much for sharing your knowledge and talents with us. I always pick up a new tip, whenever I look at your blogs. Blessings on you! Thanks so much Deb! I really appreciate your kindness! ……after a long time I chanced upon to visit this site……aaaaaand was mesmerised ! ….simply beautiful creations which touched my heart and tastes…..Thanks again to you for providing me this opportunity to visualise such beautiful creations of yours !….with all the best wishes …Meredith !…….Debasish from India, Kolkata. What lovely words, Debasish! Thank you so much! Your work is beautiful!! 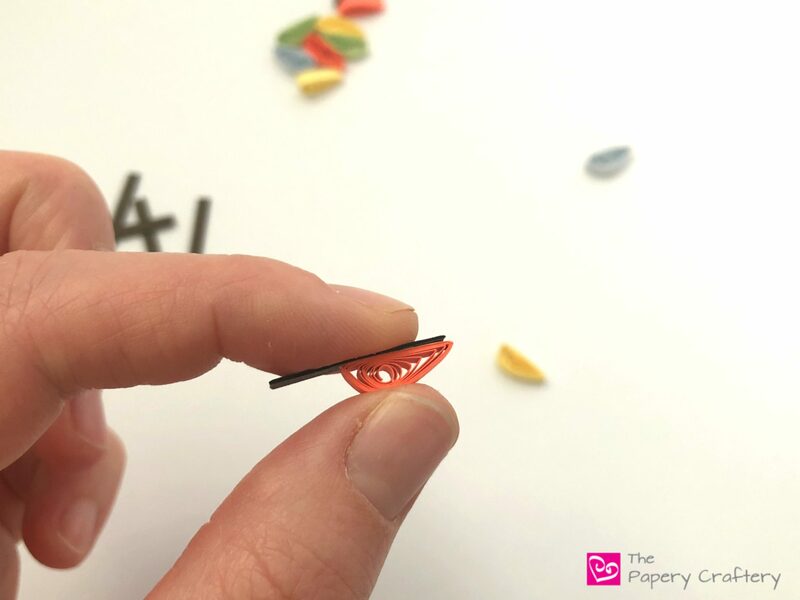 What kind of glue is used to glue down the quilled pieces? Thank you so much!! Thank you Melanie! 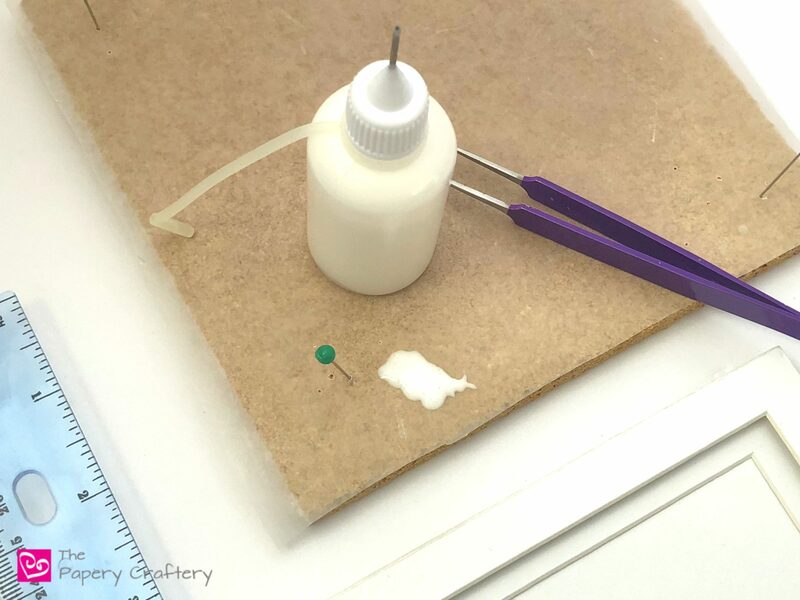 I usually just use regular white glue for mounting to a backing. 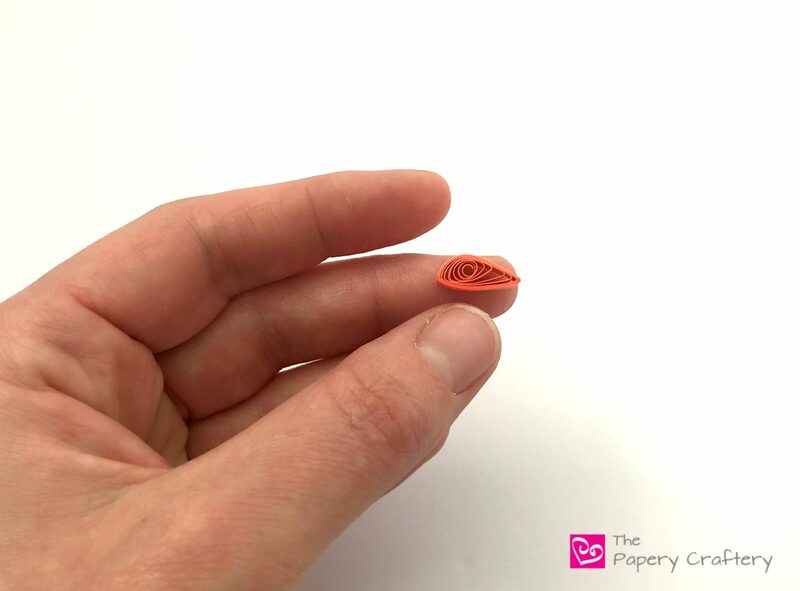 I do have a few other tips in the post about gluing quilling to a background that I wrote a few months back. There is a box to search for topics on the sidebar, if you’d like to check that post out too.